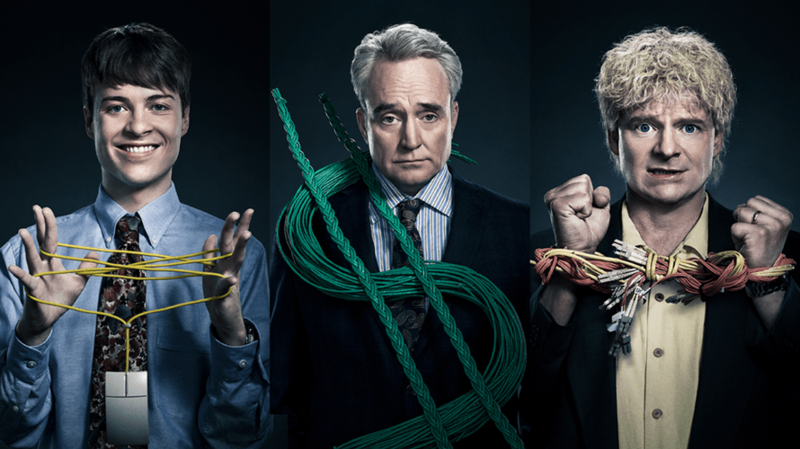 (L. to r.) John Karna stars as Netscape’s visionary founder, Marc Andreessen; Bradley Whitford as Netscape’s iconic CEO, Jim Barksdale; and Steve Zahn as Pixelon founder 'Michael Fenne,' aka conman David Kim Stanley. Matthew Carnahan cannot be accused of false advertising. The creator of Valley of the Boom, premiering Jan. 13 on Nat Geo, pitched the genre-bending scripted-and-documentary hybrid as a project that would elasticize and perhaps even traumatize the storied cable network. Hearing the concept made Courteney Monroe, CEO of National Geographic Global Networks, bust out her two favorite words: bonkers and bananas. That world has been methodically expanding, with Monroe leading a global rebrand over the past two years aimed at stretching beyond the typical Nat Geo nature, space and science documentaries to encompass dramatic series like Genius and hybrid-format shows such as Mars. Though Monroe says nonfiction storytelling will continue to make up “the lion’s share” of the network (pun intended), she and her team will keep taking “big, entertaining, creatively ambitious swings that are very much aligned with the Nat Geo brand” in the scripted arena. The move comes at a time when other cable nets, including A&E and Discovery, have pulled back on the expensive genre, citing fierce competition from streaming services. There’s also a mega-merger as a backdrop: The Walt Disney Co. scooped up most of 21st Century Fox’s entertainment and media assets, including Nat Geo, in a $71.3 billion acquisition blessed by shareholders in July. 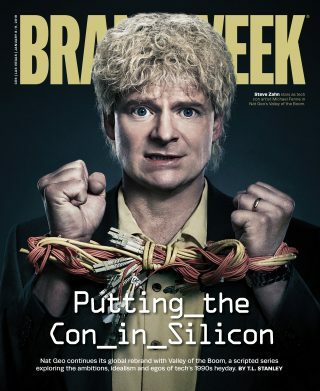 Leadership and strategy for Nat Geo remains unchanged. The network, Monroe says, will continue to carefully pick its scripted battles. Among the projects ahead: the third season of Genius, which will center on Frankenstein author Mary Shelley; Ridley Scott’s limited series, The Hot Zone, starring Julianna Margulies and based on the best-seller about the origins of the Ebola virus; and Scott Rudin’s 10-episode Barkskins, from E. Annie Proulx’s “towering work of environmental fiction” that traces America’s deforestation over hundreds of years. Nat Geo will plumb Tom Wolfe’s The Right Stuff, the introduction of the birth control pill, war-torn Syria and unsung heroes in tech, science and innovation (in the vein of Hidden Figures) for future marquee shows. There’s still plenty of historically Nat Geo-style programming on the schedule, including a live special about animals in Yellowstone National Park and well-watched shows like The Story of God With Morgan Freeman and Darren Aronofsky’s One Strange Rock. Execs are also considering a deeper dive into co-branded specials like 2017’s Breaking2 with Nike.